Use this form to keep the Lee Academy Alumni Office Informed. Make sure you complete the "Share your News" section at the bottom to keep us updated on your family and special events! 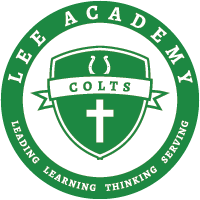 Allow us to share the news of a new job, promotion, wedding or family addition with the Lee Academy community. Pictures can be emailed to alumni@leeacademycolts.org. Thank you! We look forward to seeing you "back home" in the near future!